I love Ian Rankin’s novels about hard-boiled detectives. His work is well-written and addictive. These are page-turners with main characters you love more as they change and evolve throughout the series. They’re smart and fast-paced and I’m glad his older series is so huge or I’d die a little waiting for his next novel, which is scheduled for God knows when. I’d ask, but I’m pretty sure God ain’t talkin’ anymore. Haven’t seen a burning bush in ages. The death hit him hard, a sharp slap to the face. We all come up against that sometime but usually our grief and ripped to shreds insides aren’t as public. Imagine grieving deeply while the world’s watching, your fan base stifling you via good intentions. It’s just past the one year point of Banks’s death (June 9). If I’d paid attention and known that, I wouldn’t have asked that question at this time. Usually I’m more jokey and upbeat. Goofy and stupid, the usual me. The minute I decide to ask a semi-real question I’m foot in mouth. Been doing a lot of that lately. The more I try to explain, the worse I sound. The more honest, the more I alienate. The more I alienate, the more desolate am I. But anyway, I’m trying to catch up with his Malcolm Fox series before he publishes another novel, though it could just as well be a Rebus as a Fox. Considering I haven’t read any of his new series – though I’m still not caught up with Rebus, admittedly – I may as well work on finishing off Fox, as it’s only three books. As is de rigeur for the hard-boiled detective, his protagonists are divorced, have had serious drinking problems they continue to fight and are crusty on the outside with a soft, chewy nougat middle. All are womanizers of a sort. They look more than they touch but they do occasionally pick one to have a few not too explicit tumbles And they’re not completely over their exes just yet, a romantic twist that keeps them from settling down and being happy with pretty much anyone. Which is good, we don’t want that to happen.Nothing shuts down interest like a hero who overcomes depression to become monogamous. The appeal to women is obvious: the troubled man, grizzled and lined but still roughly handsome, hurt and in need of solace – though he wouldn’t admit that. Let me mother you! Hold you close to my breast and… Hey, what’s that you’re doing? Oh, well. Okay. That works, too. Both genders appreciate the pacing, smart and complex plots. As for violence, it’s there but nowhere near the grisly crap on TV. If you’re like me and a bit squeamish, skim a paragraph or two ’til you’re past the worst. He’s not a writer to describe in macabre detail or I wouldn’t read him. In the Malcolm Fox series, Fox is in police internal affairs, referred to as “the Complaints.” In other words, when cops go bad he comes in. So he’s not well-liked and must tread lightly, lest his presence set off alarm bells within the force. He can’t come into the cafeteria and plop down next to just anyone, in other words. Not without them suddenly finding they’ve forgotten a meeting and must leave right away. It’s not easy being Malcolm Fox. But it’s damn easy reading him at break-neck speed. Slooow, girlie. Slow. Rankin’s newest distinction, brand new actually, came just last week: .. The veteran crime writer came above the likes of Robert Burns in a survey of thousands of readers across Britain to mark the final week for entries to the National Young Writers’ Award. The creator of Inspector Rebus said he was taken aback at the recognition, describing himself as “thrilled” at the accolade, which was a “complete surprise”, and he encouraged young writers looking to follow in his footsteps to enter the competition. The results of the survey also revealed a love among Scots for the late Iain Banks, who came fourth in the poll. The rest of the top five was dominated by seminal figures from Scotland’s literary history, with Robert Louis Stevenson coming second, followed by Arthur Conan Doyle. Robert Burns was in fifth position. 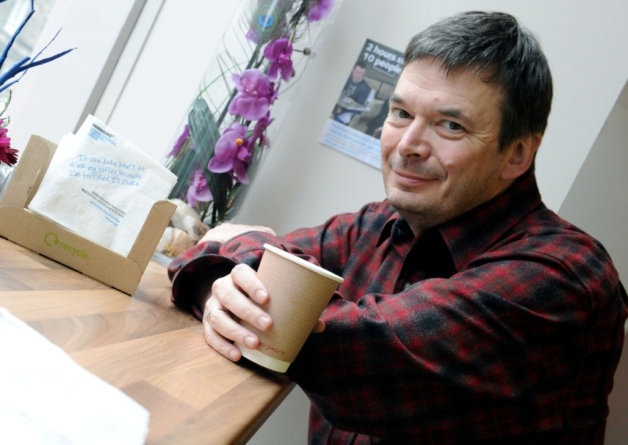 Congratulations, Ian Rankin. Keep hanging in there. We’ll wait.